Earlier this month, Humanities Insights wrote about the Maine Humanities Council and its program Literature & Medicine: Humanities at the Heart of Health Care – a program that uses books and conversation to redefine the relationship between health care professionals and patients in hospitals across the country. The Missouri State Humanities Council is also reaching out to veterans through the power of writing through the Missouri Warrior-Writers Project, a program that sponsors writing workshops for active military or combat veterans and their families nation-wide. The Project, which started in 2007, has since hosted workshops in over 60 cities across the country, led by professional poets and journalists. No certain level of writing or artistic experience is required for participation. In these four-week workshops, veterans find a safe haven for discussing their experiences, and use creative writing to express themselves and work through the many difficulties of returning home from war. Through prompts that cover a variety of military-specific issues, workshop participants write and share stories, poetry, and art. The program’s goal is to foster individual and community empowerment; and seeks to provide support systems and outlets to veterans as they reintegrate into civilian life. Drew Cameron, a veteran who enlisted directly from high school and went to Iraq in 2003, is one of the founding members of Warrior Writers – a project funded by the Missouri State Humanities Council. 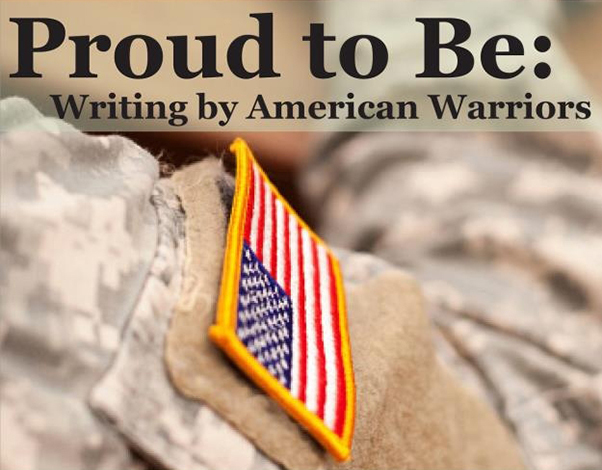 On Veteran’s Day 2012, the Southeast Missouri State University (SEMO) Pressreleased Proud to be: Writing by American Warriors, an anthology of particularly compelling submissions from veterans and their families. More than 700 stories have been shared through the Warrior-Writers project. Over one thousand of these anthologies have been purchased, and a second anthology is on the way. Photo courtesy of the Missouri Humanities Council. The National Endowment for the Humanities funds 56 state and territory councils, and it was with this support that the Missouri National Council was able to promote the Missouri Warrior-Writers Project.